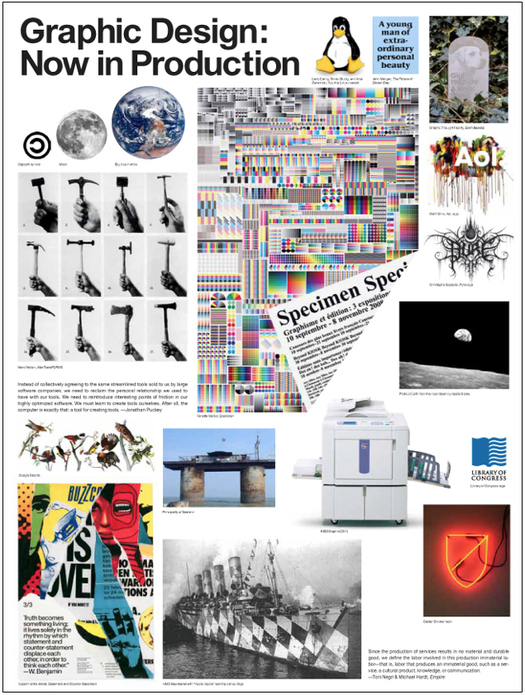 It’s odd that there hasn’t been more discussion of Graphic Design: Now in Production, the largest and most ambitious American survey of the subject since Mixing Messages: Graphic Design in Contemporary Culture in 1996. Maybe that will change when the exhibition moves from the Walker Art Center in Minneapolis to New York in June, and then to Los Angeles in September. So far, there has been a piece by Alice Rawsthorn in the New York Times (“a thorough and thoughtful analysis of changes in the field”); a post at Eye Blog — longer magazine review to follow (“simple and complex, radical and traditional, challenging and affirming”); and a review in Creative Review (“asks many more questions than it offers answers”). I happened to be in Minneapolis as the exhibition started to go up and I visited the Walker’s design department. I have yet to see the show, though I do have a copy of the exhibition catalogue, which has also received little critical attention so far. As public events, exhibitions tend to be the immediate focus and even the most impressive catalogues are referred to only in passing or overlooked. 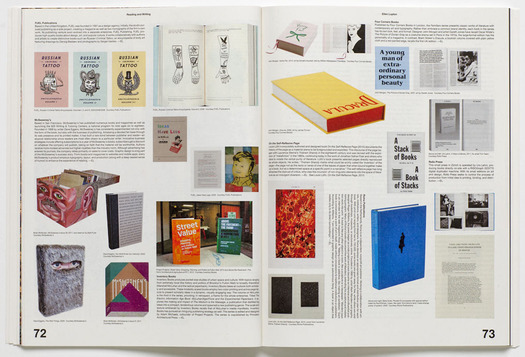 It would be a shame if that were to happen here because the book is an exceptional effort in its own right, and it’s the place where lead curators Andrew Blauvelt and Ellen Lupton and their team are best able to articulate their view of graphic design today. Like the Walker’s Graphic Design in America book, published to accompany a previous show in 1989, the catalogue will be a lasting work of reference. Wow. That’s quite a statement in a publication that presents the presumed reader with tens of thousands of words of text. As well as the intro and 18 essays, there are many detailed captions packed tightly around a mother lode of illustrated design projects. This is an amazing amount of trouble to go to as a curator, editor and writer if you doubt that many people will make the effort to read, though just a few lines earlier Lupton has cited a novelist who observes that in a culture of self-expression, many today would rather write than read. Call me a slogger, but back to the beginning I went. I’d intended to read the essay anyway. Now I wanted to see how Lupton arrived at her moment of doubt and where she went after that. She does a characteristically detailed and thorough job of tracing the relationship between ideas about authorship and graphic design, and the piece is enjoyably written — she obviously cares about the craft of writing and her style is warmer than it used to be. She covers familiar ground that needs to be included (Barthes, Foucault, Michael Rock on authorship, Quentin Fiore, Bruce Mau) and shows a spectrographic command of developments today, from novels featuring visual embellishments to the inherent linearity of the e-book. Nevertheless, she had raised the stakes with her “last-ditch effort” remark and I wanted to know what this ambivalence really signifies for her as both a designer and a writer, and as someone with the skills to deliver a long-form essay. It could be that her occupation of both roles at once, when those roles might be at odds, makes it harder to achieve a clear point of view here. The issues surrounding reading (and thus writing) that Lupton raises have been with us for decades; they are just more visible and critical now. From Neil Postman’s Amusing Ourselves to Death (1985) to Sven Birkerts’ The Gutenberg Elegies (1994) to Nicholas Carr’s The Shallows (2010) cultural critics have clanged the alarm about the fate of reading in an electronic age. Lupton doesn’t cite them, though she does find space for the “conversational turn” in contemporary design writing (questionable) and for Jakob Nielsen’s research into iPad and Kindle reading speeds. 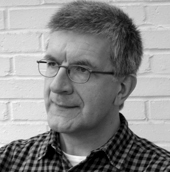 While issues to do with the future of reading do possess a design dimension, addressing them largely from a designer’s perspective, as Lupton does, misses some central points. Critics such as Postman, Birkerts and Carr ask what it is that longer texts allow writers to do that can’t be achieved in any other way, and what potential benefits this kind of reading may have for the reader. These are considerations that we lose sight of at our peril. If in the future such writing ceases to be possible, except as an undersubscribed minority pastime, because readers have been encouraged to abandon it by technology abetted by design, then the next question must be: what implications does this loss have for a culture that used to be underpinned and enriched by these forms of inquiry, thought and learning? The structure and scope of Lupton’s essay, her careful accumulation of evidence, and the appearance (at least) of sustained logical argument, presuppose that long-form writing and reading do have a special value. For all its excitingly overloaded contemporary design-ness, the whole catalogue shares this perspective. The Google image-search hyperactivity is confined to its visual pages. Between these hotspots the columns of well-designed, continuous text look like they are meant to be read. Lupton notes that the “lateral spread of publishing may have degraded its status overall,” and concludes that, “Today’s all-access mediascape has flattened out many areas of expertise, casting shadows of doubt upon the future of journalism, graphic design, book publishing, and other specialized practices.” Yes, that’s how it is now. For anyone who values those fields (never mind seeks a life of productive and satisfying work in them) it sounds like the makings of a cultural meltdown, if not disaster. In their place, Lupton brings her essay to a close with a dispiritingly solipsistic vision of designers engaged in self-publishing not because there is something significant they have to say — they hardly expect to be read anyway — but for the pleasure of the activity, and as a convenient tool for “disseminating the self” and putting it “on display.” All that’s really required of the non-reading audience (which is whom exactly?) is to take note of the output’s existence. That conclusion sounds uncomfortably like an endorsement, however tepid, though I don’t actually believe that Lupton could be happy with a future in which the long-form essay expired from lack of committed readers. It would be an impoverishment, pure and simple. If the disenchantment with sustained reading is a problem and graphic designers have any useful role to play in supporting the activity, then why not say so? The wistful, “well, it’s going to happen anyway” resignation of her “stalwart slogger” quip seems by this point to have permeated the essay, leaving it without an incisive critical position. Count me in with the sloggers. Just kidding! I think the long-form is making a comeback, with sites like Longform and Longreads and services such as Instapaper and Read-It-Later, I think we are seeing more engagement with it on the web. And as tablet devices and e-ink devices improve, it'll definitely survive. I'm currently reading the catalogue and came across that essay as the most impacting for me so far. I'm not certain, however, that Lupton is viewing long-form writing as unimportant nor do I think she's saying things aren't read deeply. Rather, I read that people are generally spending less time delving into deep texts and more time delving into short, quick essays that are, say, a page long (or some blog post size etc.). It's interesting how many of the early essays in the catalogue are short like this and her essay expanded over a multitude of pages, yet it easily could be argued as still being reasonably short (especially for such a wide-ranged topic!). I think the essay had a plea to retain the value of a meaningful text in a world that appears to be driving towards an excess of writing and drought of reading. Rick admits that he started reading my essay in the middle of the piece! So much for the sacred experience of long-form prose. People may be reading and writing more than ever today, but they are doing it their own way. The book, conceived by Emmet Byrne and Andrew Blauvelt, employs hundreds of deep captions and micro-essays as well as long-form pieces. The book can be entered anywhere. In the first layout, my essay on “Reading and Writing” was over 5,000 words long; disturbed by those endless columns of unbroken text, I converted a third of the essay into deep captions, to be read at will with the visual material. Ellen, I browse like anyone else does. My background, as you know, is in magazines. Magazines committed to writing are constructed to be both browsed and read. Browsing is an essential first step in getting your bearings amid the mass of material, before (hopefully) diving in. As an editorial/design construction Graphic Design: Now in Production works, as you note, in exactly the same way, and I made a point of saying that the heavy text parts of the book, which require concentration, have nevertheless been given the space such reading needs. So there’s no contradiction. I scanned and then I read your essay properly from beginning to end, preserving the “sacred experience” (why the sarcasm?) of reading your text. You did actually want readers to do this? Rick, I'm always grateful to have readers, especially one as thoughtful as you. The maker of any book or essay imagines a reader who will make it all the way through. Much thanks, truly! In the print version of my Eye Blog review, on news stands any day now, I do go into a bit more detail about the catalogue. "The catalog appears to differ curatorially from the exhibition..."
i suspect more people are interested in long-form immersive reading than we are willing to credit: it's just that the material needs to be worthwhile. it's harder to be good at 1000 words than at 100, and harder still at 10,000 or 100,000. but people seem to be buying lots of novels and nonfiction books for e-readers. (for the real victory of long form, look at series like the wire or mad men or breaking bad or downton abbey, which seem to have taken the zeitgeist even from films). when i come across a book with so many little bits that i'm supposed to "browse," i'm more likely to become quickly frustrated, and move on to something else. Mark, I’m with you there. 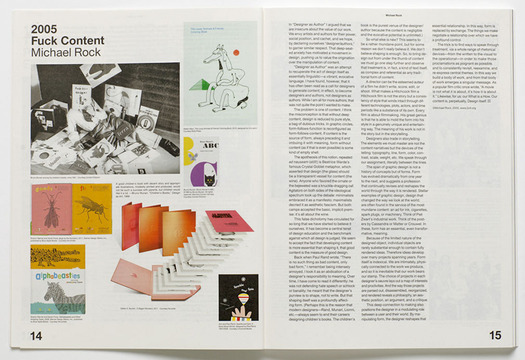 Pages filled with extended captions and short texts are a design book habit (or vice), reflecting a worry among publishers that long texts will put off impulse-buyers whose main reason for wanting a book is the pictures. As you say, these tidbits are much quicker and easier to produce. If we want markedly better design writing that can stand comparison with historical and critical writing in other fields, then properly researched and thought out long-form is the place that it will develop, if it’s going to develop at all. I do think it’s possible to strike a balance, though, and Graphic Design: Now in Production achieves that. The crammed visual pages bring order to potential chaos. They have the everything-is-in-there appeal of a parts catalog or directory (the light, floppy pages add to this impression). This is an exceptionally wide-ranging and inclusive visual document of “graphic design in an expanded field of practice.” The long captions, many of them written and signed by AB and EL, pack in a massive amount of painstakingly gathered supplementary information.